You win some and lose some, but you can always dim sum! These Asian tapas-styled foods are one of my favorites because I have some of the fondest memories of them while growing up. I remembered watching one of my mom’s Chinese friends frantically chasing after the fresh-out-of-the-kitchen carts with her ordering paper. She would bring back plates and plates of yummy food and to me, it was a game with a guaranteed food reward. 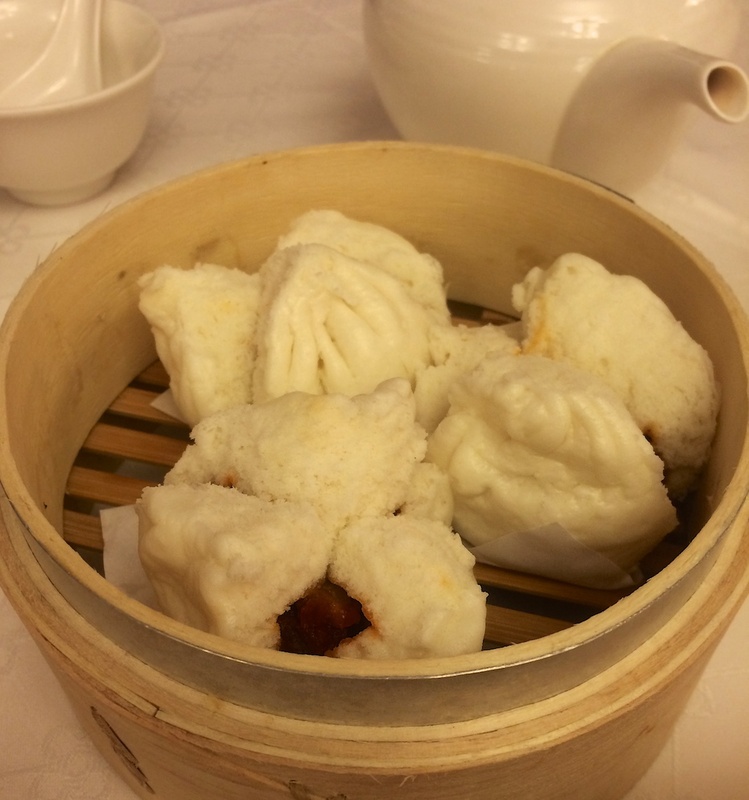 As we got older, dim sum became a special occasion meal on holidays, especially Chinese New Year, and on birthdays so I always look forward to eating it. Plus who can say no to endless dish selections — I love variety! Parents Restaurant (Map, Facebook). There is a benefit to having a late lunch because they have happy hour prices for dim sum! 6 dishes for $500 NT ~ $16 USD from 2pm to 4pm. We ordered 8 dishes because our eyes are bigger than our stomachs. I’m very impressed with the quality of the food here. I can tell they are made fresh and not previously frozen. As much as I love dim sum, I always get this unquenchable thirst afterward because of the preservatives and sodium in the food. However here, I didn’t get the nagging dry mouth and boy, was I glad. 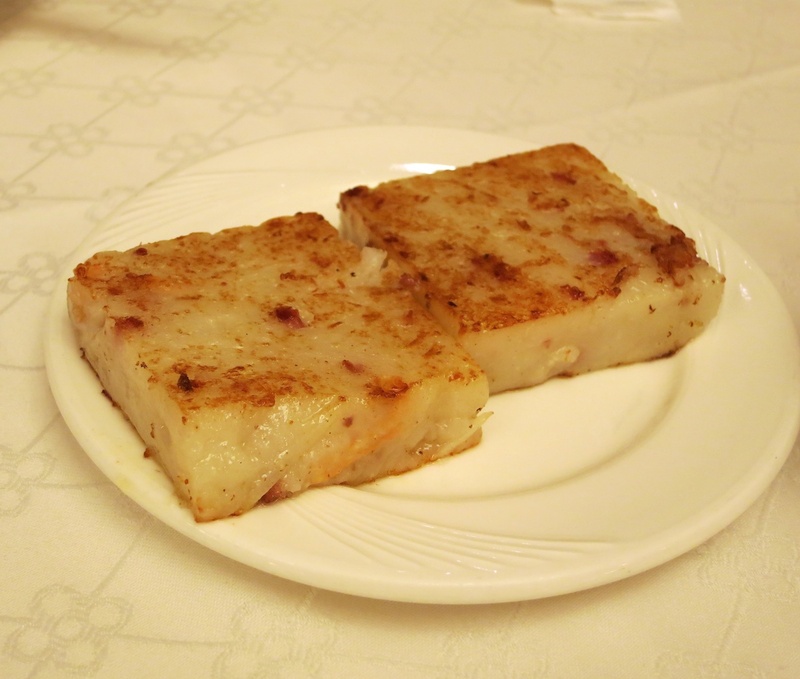 Radish Cake: This is light and delicate with small specks of bacon throughout, unlike in the States, where it is dense and doughy. 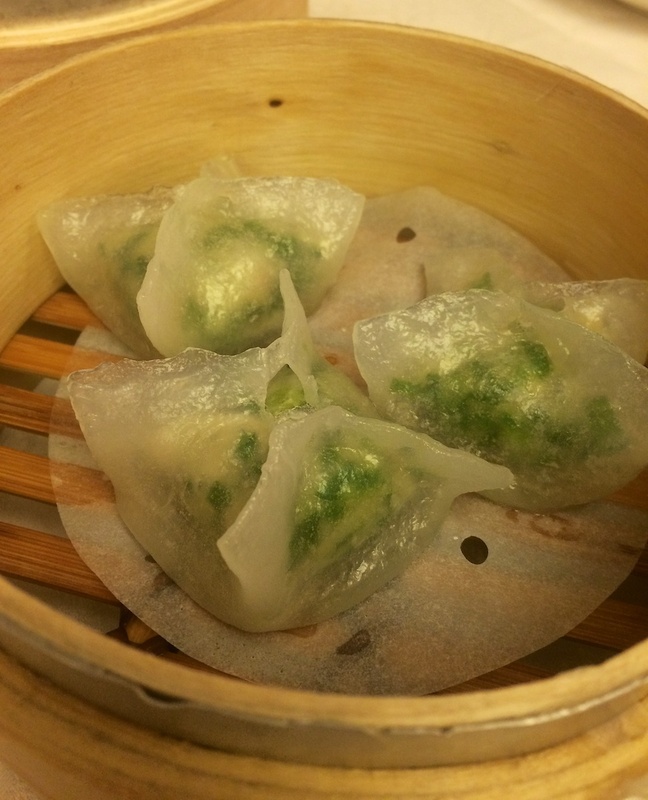 Leek Dumplings: Usually for dumplings, I eat the fillings and maybe a little bit of the outer skin because the outer skin tends to be dry, flavorless, and falls apart. These dumplings, however, are chewy, tender and hold their shapes even after I bite in to it — they are so on point. 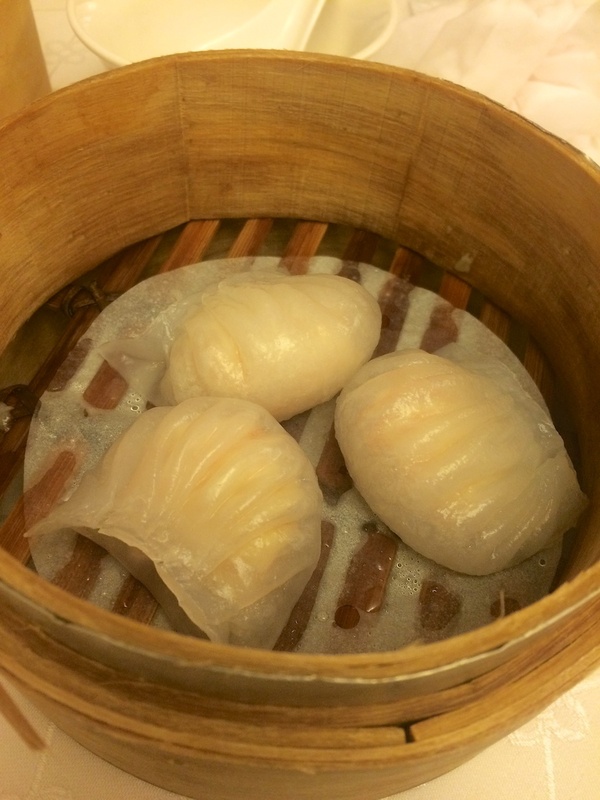 Shrimp Dumplings: Like the dumplings above, these are chewy and definitely don’t have the preservative taste. 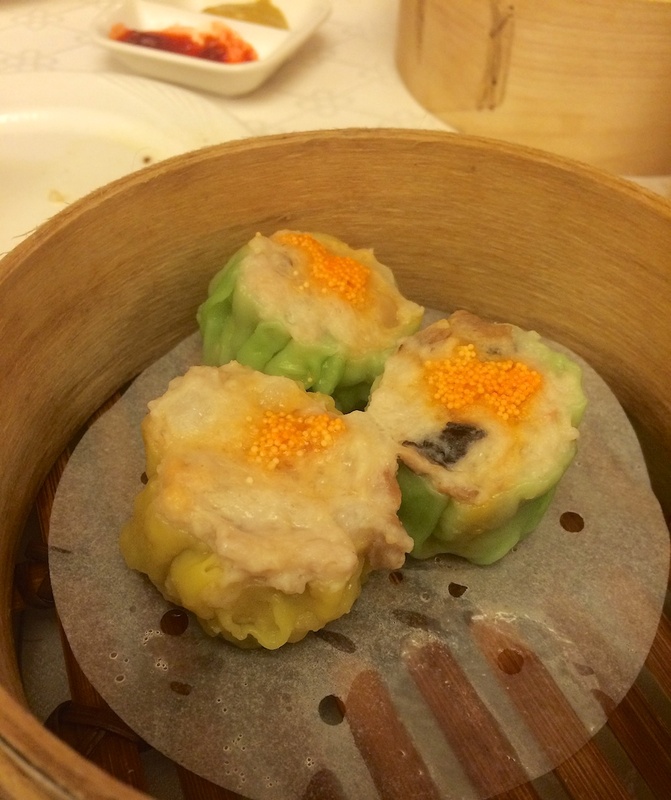 Siu Mai: These little bites usually pack the most preservative taste back in the States, but here, I tasted the delicate pork flavors mixing with the well-balanced seasoning. Rice Dough Packets: My favorite of all dim sum dishes. 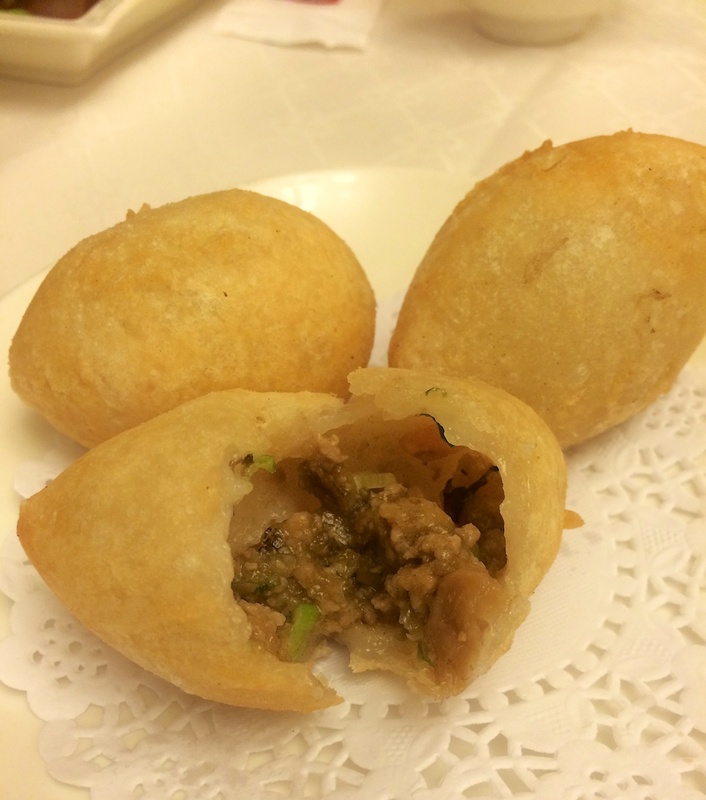 In one bite, your taste buds are washed-over with sweetness from the crunchy and chewy dough and saltiness from the minced-pork filling. 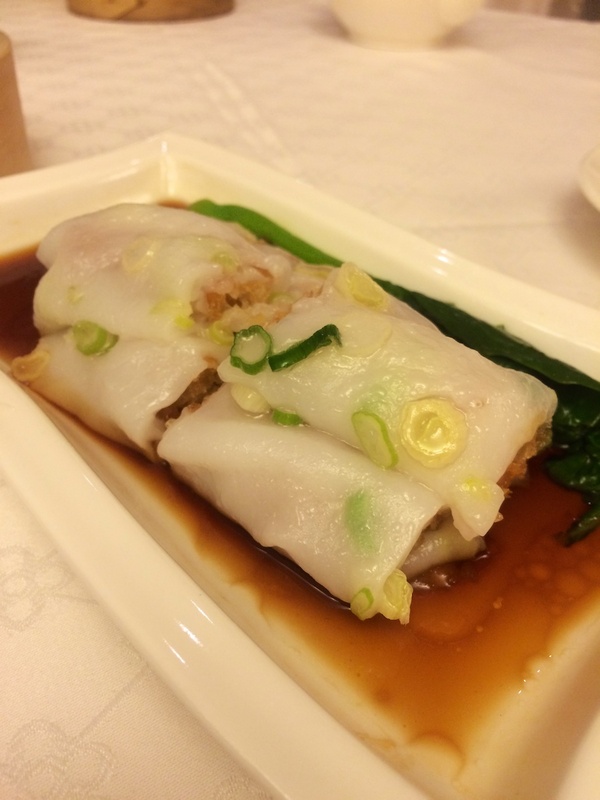 Chinese Fried Crullers Stuffed Rice Rolls: My second most favorite dim sum dish. These rice rolls can be stuffed with many fillings like BBQ pork, shrimps, and in this case, fried crullers. The ratio of this rice dough to the filling is perfect and not overpowering and it’s accompanied with a sweeter soy sauce. BBQ Pork Steamed Buns: These buns are fluffy and airy. They taste like pillowy clouds covering savory pockets of BBQ pork. 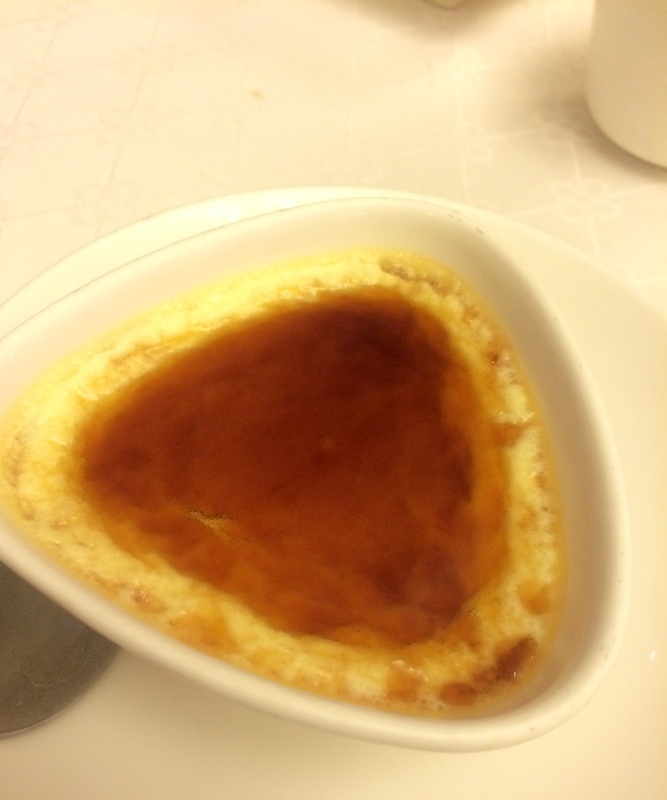 Flan: I usually round out my dim sum experience with a traditional egg custard, but since I can get egg custards in many of the bakeries here, I opted for this. This is a egg pudding with caramelized sauce — A splendid ending to a classic Chinese meal.